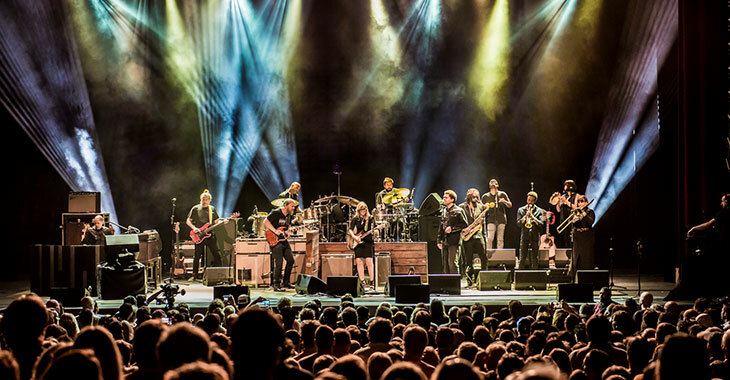 TTB is heading back to the West Coast for a run of dates in November, starting with an evening in Portland and ending up with a return trip to the Fox Theater in Oakland. Pre-sale tickets for all shows are available beginning Tuesday, June 6 at 10am local time through the TTB Tour Page — please note, TTB is using a new pre-sale ticket provider and to protect against scalping or re-sale of these tickets, delivery options for certain shows is limited to will call pickup only. Public on-sales begin on Friday, June 9 for Portland, Seattle, Santa Barbara, San Diego and Oakland, while Los Angeles and Phoenix tickets will be available to the general public on Monday, June 12. Copyright © 2018 Tedeschi Trucks Band. All Rights Reserved.